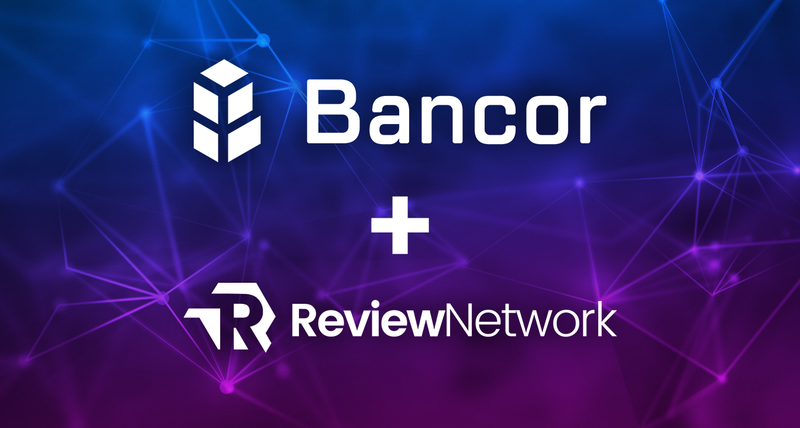 We are happy to announce that Review.Network will integrate Bancor’s protocol shortly after the completion of our public token sale later this year. ­Review.Network users will be able to convert their ETH to REW and vice versa, on the platform, instantly. If you are looking to cash out your REW tokens, you will be able to convert them to Ether with just one click. Conversely, if you wish to submit a review, but are running low on REW, just transfer some Ether to your account and convert it to REW with a click of a button. This system takes away the need to go through exchanges, and waiting for uncomfortably long confirmation times. ­Integrate with other projects adopting Bancor protocol. Imagine a fictional chain of coffee shops that has its own ERC20 token and integrates the Bancor protocol. They offer discounts if you pay using their tokens. You have been using the Review.Network platform and have collected a nice amount of REW in your wallet. Why not use your tokens to pay for your morning coffee? In this scenario, Bancor would allow us to convert REW to the coffee shop’s token instantly and enable payment for your coffee. These kinds of scenarios show the amazing possibilities of cryptocurrency’s mainstream adoption, with the key ingredient being token interoperability. Bancor allows us to achieve and implement these scenarios today. One of Review.Network’s core goals is making the use of digital currencies easy for everyone, and Bancor protocol will help us in delivering on that mission. The Bancor Protocol is a standard for the creation of Smart Tokens TM , cryptocurrencies with built­in convertibility directly through their smart contracts. Bancor utilizes an innovative token “connector” method to enable formulaic price calculation and continuous liquidity for all integrated tokens, without needing to match two parties in an exchange. Smart Tokens interconnect to form token liquidity networks, allowing user­generated cryptocurrencies to thrive. To convert tokens instantly, visit the Bancor Web App or join the Bancor Telegram group for more information.